Bursting onto the scene in 1987, Wet Wet Wet are undoubtedly a musical phenomenon. With an incredible back catalogue of songs including three UK No.1’s With A Little Help From My Friends (1988); Goodnight Girl (1991); and Love Is All Around (1994), the Glasgow lads have made an incredible impact with their music over the years, making them one of the most successful bands in British pop history. 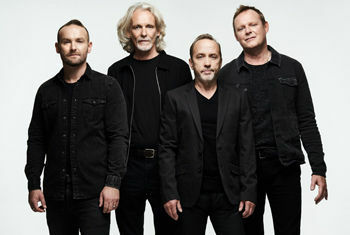 Tour by tour, Wet Wet Wet achieved a reputation as one of the best live acts produced by the UK. The band have recently celebrated the 30th Anniversary of their debut album Popped In Souled Out which was originally released in 1989.